The European Patent Office has issued the final, incontestable verdict, assigning the electric fin stabilizer patent to CMC Marine, definitively rejecting the appeal filed by some competitors. This verdict recognizes at an institutional level the uniqueness of the Stabilis Electra technology; the fin stabilizer with electrical actuator, already acknowledged by the market as the most reliable, high-performing system, thus becomes not replicable by any other company. On Thursday, October 8, 2015, in the European Patent Office EPO headquarter in Munich (Germany), the Appeal Board officially notified the decision to the opponents, along with CMC Marine representatives. The hearing was called to examine the appeal against the release to CMC Marine, back in April 2012, of an European patent covering a "fin stabilizer actuator electrically operated" product, commercially called Stabilis Electra. The appeal was promoted by the companies Abt-Trac, Quantum Control Bv, Sleipner Motor As and Naiad, all active in the field of marine stabilization systems. The EPO highest instance has now officially confirmed to CMC Marine the validity of the invention, recognizing Stabilis Electra?s novelties and inventive qualities, thus confirming beyond any doubt the patent assignment to CMC Marine. The appeal verdict follows and confirms the earlier Board decision that ended the first opposition meeting held in April 2014, leaving no room for doubt and further justifying the proper patent release. 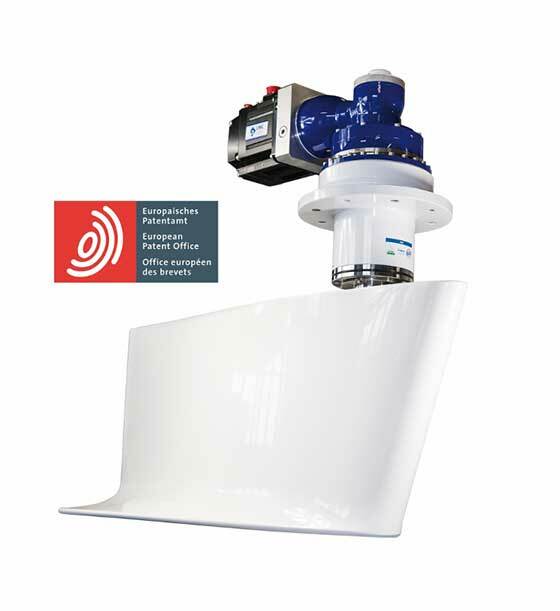 Therefore CMC Marine is thus confirmed as the only European Company that can use an electric actuator for stabilizing fins, mainly intended for the anchor operation. Furthermore, unique Company on the market, has developed a technology that best meets the performance, compactness and solidity needs required for an ideal stabilization system. Alessandro Cappiello, CMC Marine CEO, said: "This verdict, coming from the highest European patent authority, definitively entitling us with the patent for the electric fin stabilizer invention, is a further confirmation that when in 2008 we began producing the first prototypes, we were actually following the right vision. Above all it confirms what the market had already decreed: Stabilis Electra is a powerful invention that has revolutionized a niche market such as the marine stabilization systems. I would like to thank all our customers - the most important shipyards in Europe and abroad - for choosing our equipment on hundreds of their vessels, making a substantial contribution to the success of our product. "